We’d love your help. Let us know what’s wrong with this preview of Al-Tounsi by Anton Piatigorsky. The debut novel by award-winning playwright Anton Piatigorsky tells the story of the behind-the-scenes story of U.S. Supreme Court Justices as they consider a landmark case involving the rights of detainees held in an overseas military base. Inspired by a true case from 2008 addressing Guantanamo Bay, the fictional lawsuit of Al-Tounsi v. Shaw pits Majid Al-Tounsi, an Egyp The debut novel by award-winning playwright Anton Piatigorsky tells the story of the behind-the-scenes story of U.S. Supreme Court Justices as they consider a landmark case involving the rights of detainees held in an overseas military base. Inspired by a true case from 2008 addressing Guantanamo Bay, the fictional lawsuit of Al-Tounsi v. Shaw pits Majid Al-Tounsi, an Egyptian prisoner, against the President of the United States. It challenges U.S. laws that apply to non-citizens under wartime circumstances and the extent of executive power. To ask other readers questions about Al-Tounsi, please sign up. Very much enjoyed. Was a smart but easy read. Ending felt a little vague and rushed, but overall an excellent book. Anton Piatigorsky is an award-winning writer of fiction, plays and librettos. "The Iron Bridge," his first work of fiction, is a collection of short stories about 20th Century dictators as teenagers, and was named a runner up for the 2012 Danuta Gleed Literary Award. 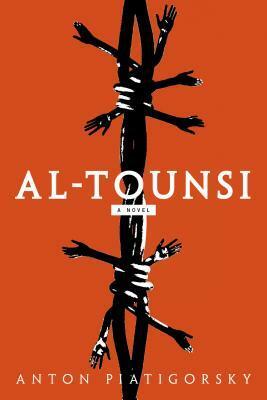 "Al-Tounsi," his debut novel, is being published by Ankerwycke, the trade imprint of the American Bar Association, on March 1, 2017. A Anton Piatigorsky is an award-winning writer of fiction, plays and librettos. "The Iron Bridge," his first work of fiction, is a collection of short stories about 20th Century dictators as teenagers, and was named a runner up for the 2012 Danuta Gleed Literary Award. As a playwright, Anton is the recipient of two Dora Mavor Moore awards for best new play, the 2005 Elinore and Lou Siminovitch Protégé Award for playwrighting, and numerous other commissions and nominations. His chamber opera, "Airline Icarus," with music by composer Brian Current, won the Italian Primo Fedora Award in 2011. The Canadian Premiere was produced by Soundstreams in Toronto in 2014.